Carlsberg Introduces the SnapPack in a bid to help Save the Environment from Plastic Pollution. Carlsberg is the first beer company to ditch the plastic rings in favour of helping save the environment. 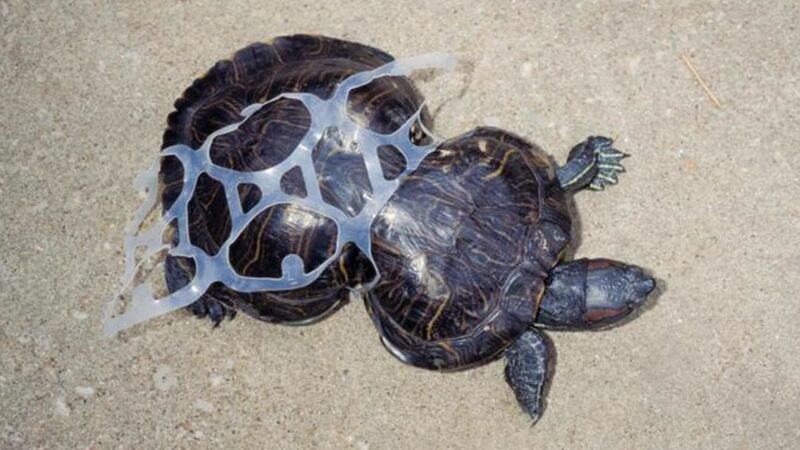 Instead of using the 6 pack plastic rings that nearly always end up in the ocean wreaking havoc on the wildlife and causing endless amounts of damage to nature and wildlife, they’ll now introduce the Snap Pack, held together by 100% recyclable glue. Although a fantastic idea you probably had the same thoughts I did, how will glue keep heavy cans together through production to consumption? How can the glue be strong enough to hold the cans together, but be breakable by the customer? Carlsberg has been working on creating an environmentally friendly, strong glue that isn’t sticky over the last 3 years and they’ve finally created the perfect mixture. They have stated the glue is definitely strong enough to hold the cans together throughout transport and purchase and is easily separated by twisting it. It also won’t leave any sticky residue behind and is 100% recyclable. It’s reported that once the new packaging hit’s the shelves in the UK later this year, Carlsberg will reduce their plastic use by “1,200 tonnes a year - the equivalent of 60 million plastic bags.”* Not only would this be a huge step forward for reducing plastic pollution, but those at Carlsberg hope it will encourage and help support other drink companies to change their packaging and follow their plastic ringless approach.